August 13, 2013 Long Island, NY – Texas Lutheran University (TLU) is preparing to unveil digital menu boards for their WOW Café and Sandella’s Flatbread Café dining area tenants at the newly renovated Alumni Student Center. 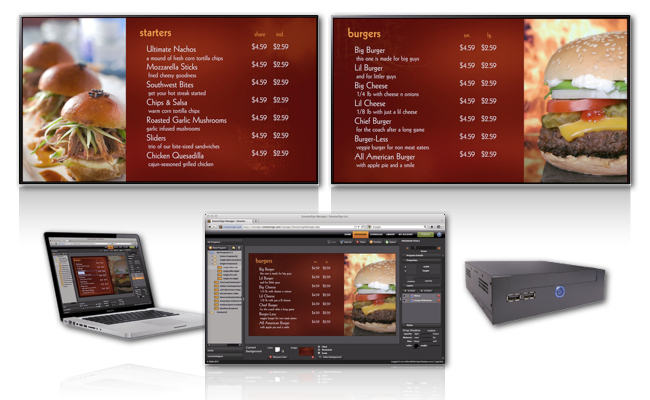 Origin Display Group Inc., a leading supplier of indoor, outdoor, and digital menu boards was selected by TLU’s project management firm Design Strategies + (DS+) and Sodexo to provide their Origin Elite solution. Design Strategies+ Inc (DS+) is an award-winning professional hospitality project management firm. They developed TLU’s project concept, budget, and timeframe, and alongside Sodexo, vetted Origin Displays amongst others for the digital signage component. In addition, DS+ will oversee the installation for each of the units. Remote access and ease-of-use were key contributors to going the route of Origin Displays. WOW Café: American Grill and Wingery, along with Sandella’s Flatbread Café, will cut the ribbon on their TLU locations later this month. Each location will have three 42” monitors displaying the menu items to the students, faculty and visitors to the campus. To learn more about Origin Elite, contact us here or give us a call at (888) 235-2579!